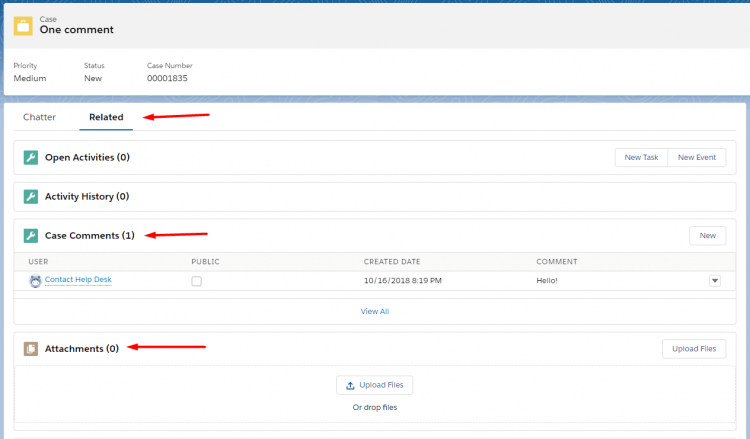 Where do I find ticket comments in Salesforce Service Cloud? Under Case Comments you will see all private comments. If the ticket contains an attachment, our service will import it as a private attachment. Also, if the comment exceeds 4000 characters, it will be cut due to the limitations of Salesforce Service Cloud. Public comments can be found in Chatter>Email.